Outstanding customer service and flexibility is the key to our success! Our medical billing specialists receive continuous compliments on their professional and courteous treatment of our Clients and their patients. We use the industry’s leading ambulance services billing software, Medisoft 14, on a secure Oracle SQL 2000 Server in conjunction with SentryFile™ file/image processing software. Every program electronically tracks document access for Health Information Portability and Accountability Act (HIPAA) Privacy Standards compliance. HIPAA compliant code sets for all electronic file transmissions. Our software servers utilize RAID-5 software and hardware ensuring data is maintained on redundant drives, in conjunction with a rigorous file back-up and recovery system. 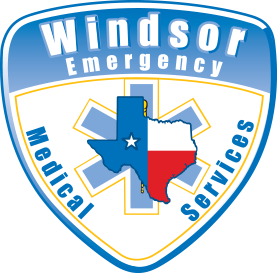 Windsor EMS conducts Electronic Archival of all customer data onto Digital Video discs daily, and onto tape weekly. We accept Medicare, Medicaid, all private insurance, and private pay. An account representative is always available to discuss any questions concerning patient or facility statements. It is always helpful to have the patient’s name, their Social Security number, the date of service, and all insurance information when making a query.